Finding a good deal can be a challenge if you're apartment hunting on a budget. So what does the low-end pricing on a rental in Berkeley look like these days--and what might you get for the price? Listed at $1,595/month, this 400-square-foot studio, located at 2801 College Ave., is 16.0 percent less than the median rent for a studio in Berkeley, which is currently estimated at around $1,899/month. The building offers assigned parking and on-site laundry. In the unit, the listing promises both air conditioning and central heating, hardwood flooring and granite countertops. Good news for cat lovers: kitties are permitted. There's no leasing fee required for this rental. 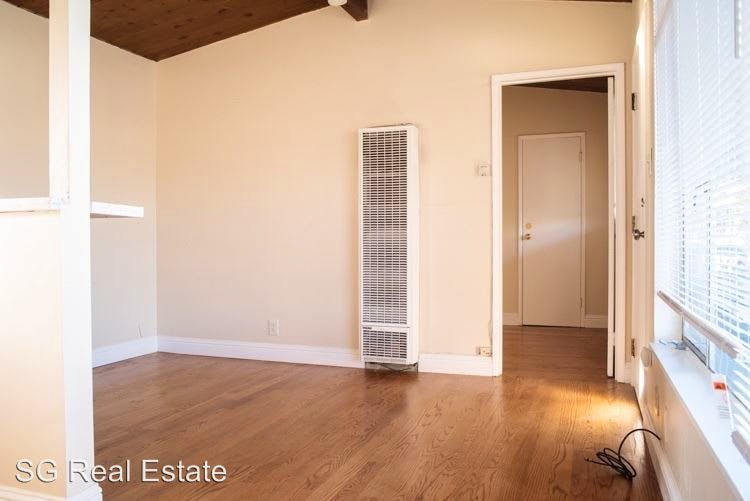 Here's a studio at 1431 Channing Way, which, at 423 square feet, is going for $1,695/month. The apartment boasts hardwood floors, wooden cabinetry and closet space. Neither cats nor dogs are allowed. There's no leasing fee required for this rental. Listed at $1,795/month, this 500-square-foot one-bedroom, one-bathroom is located at 1225 Ashby Ave. The corner unit features hardwood floors, white appliances and a breakfast bar. Assigned parking is offered as a building amenity. The rental doesn't require a leasing fee. This studio apartment, situated at 1988 California St., #63, is also listed for $1,795/month for its 750 square feet of space. Apartment amenities include hardwood flooring, wooden cabinetry and a gas range. Neither cats nor dogs are welcome. The building features on-site laundry and on-sit management. Expect a broker's fee equal to one month's rent. According to Walk Score, the surrounding area is a "walker's paradise," is easy to get around on a bicycle and offers many nearby public transportation options. And finally, there's this studio at 1862 Arch St. It's being listed for $1,895/month. In the unit, which has a private entrance, expect a walk-in closet and harwood flooring. Animals are not welcome. There's no leasing fee required for this rental.